Can't wait to shotgun Chief Irons' head off when I see him knifing the mayor's daughter's corpse. The real question is how are they going to kill Irons and Ben. What does Ben look like now? Here is a longer, uncut Claire gameplay. It shows extra footage leading up to the Birkin battle, and footage of the aftermath leading into the underground parking lot scene with Irons. I'm assuming from the Leon gameplay that the area with Birkin is where the statue relief leads to that Rita took. I enjoyed the remake of this full demo. Claire queen! Let's hope we don't get to see her zombified corpse. That would break my heart. I want to see the "Dear George... " letter. That would be quite the love letter. 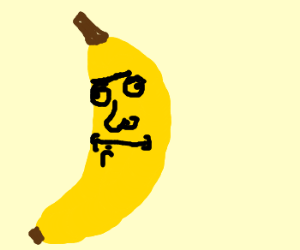 (Now that your wife is out of the way) I am waiting 4u. Please, come2me as soon as possible. So disappointed about it being RE4 style camera.. as much as I do love RE4 a great deal, it's not the RE(2)master I hoped for.. I've avoided trailers and things because I get everything spoiled enough for me by word of mouth.. but can someone let me know if Hunk/Tofu will still be modes in the game? They are in the game. 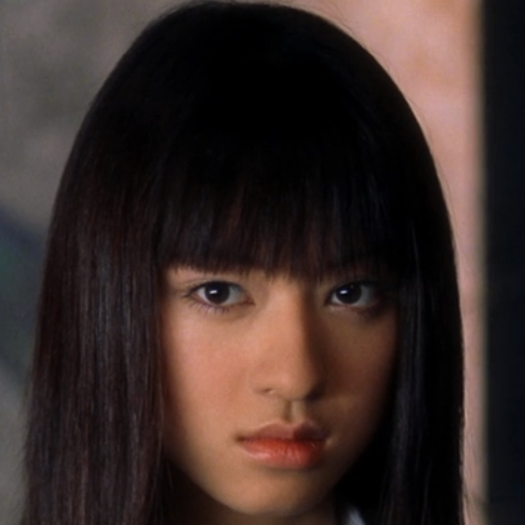 As long and sharp as yours." Thank you for letting me know!! New Story Trailer revealed. Footage finally shows Ada and Annette's new looks. We also see footage of Leon and Ada walking through a street. The elevator from Mr. X getting impaled is also shown off more. It also looks like Sherry gets kidnapped by Irons or at least calls Claire to threaten her life. I'm happy with the new voice acting! 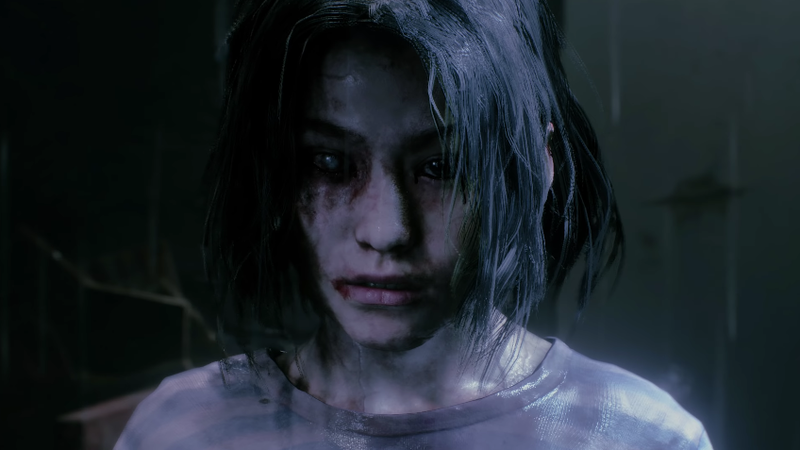 We've also been blessed with the full Claire demo. 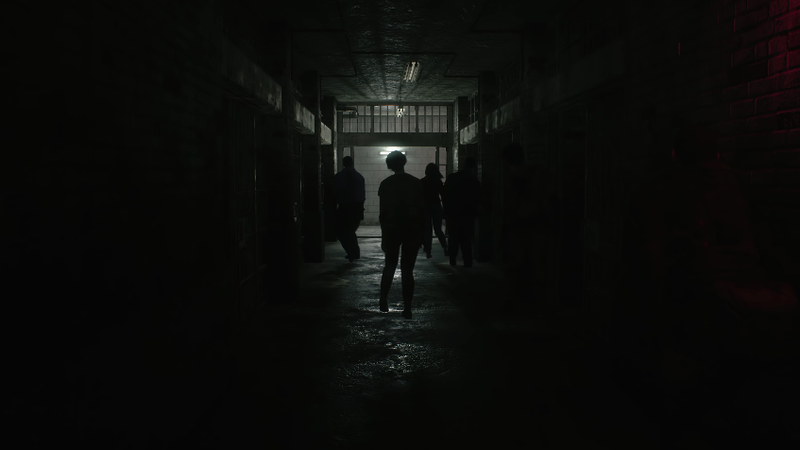 It shows Claire starting in Iron's office, going to the William fight, and ending with Irons kidnapping Sherry. Some frames of interest from the story trailer worth mentioning. 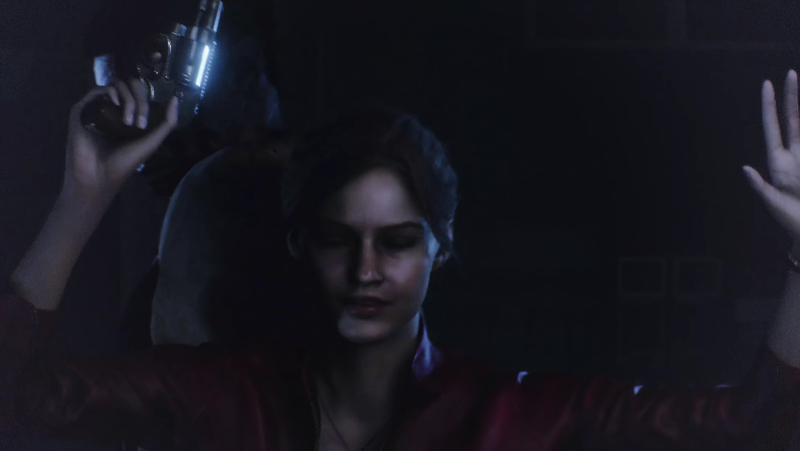 First off, we have a screenshot of Claire ducking before Leon shoots the zombie behind her. Notice the revolver in her hand. This means that the method Claire obtains her gun is different. This could also mean the gameplay starts before Leon and Claire meet, and that the intro is playable even before the truck crash. Next we have the aforementioned elevator Claire and Sherry escape to, most likely from Mr. X before he is rudely eviscerated by Birkin. 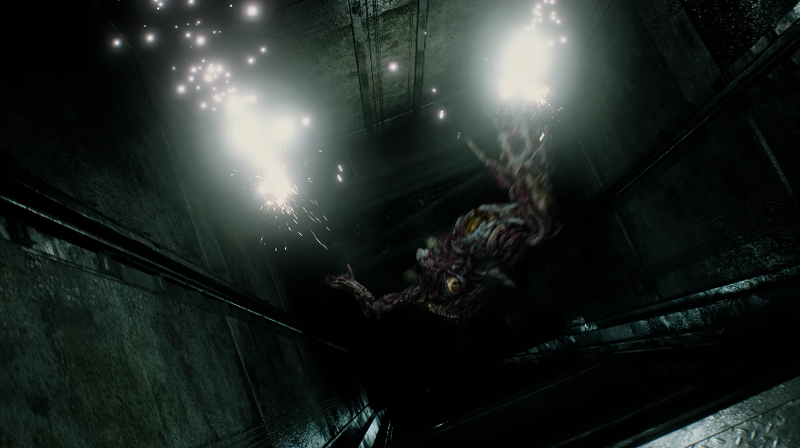 It appears that Birkin takes a drop with Claire somewhere later in the game, probably leading into the sewers. Next we have a screenshot of the jail cells from Leon's point of view. 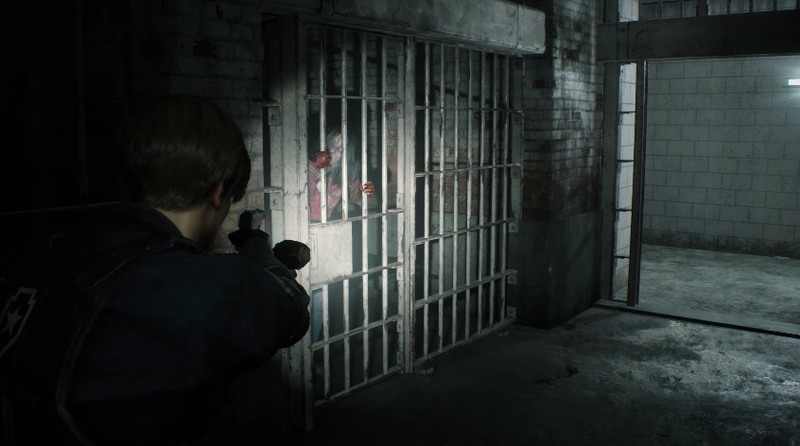 It appears this scene is again, borrowing from 1.5 by having zombies locked in the cells that later get released in the following image. 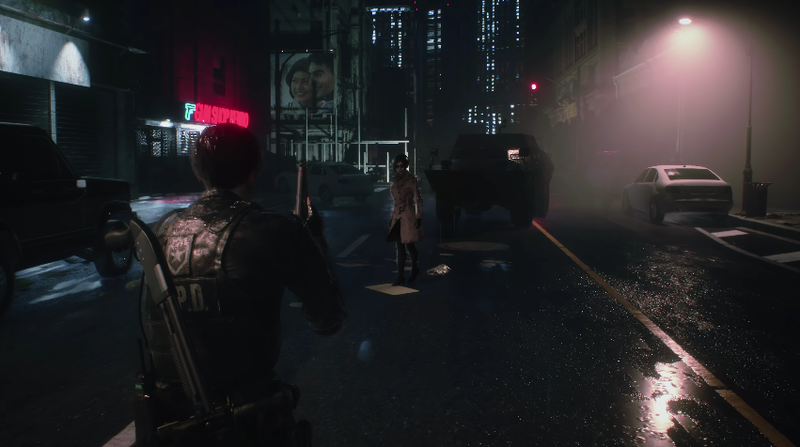 Now we have a screenshot of Leon and Ada taking a stroll through the city streets and what appears to be a gun store to the left. Whether it's Kendo's or not, I can't quite make out. But it's nice to see the city actually looks like a city and that the streets aren't one lane thick like in RE3. Finally, and by far most interesting are these two shots. Judging by the proportions of the body and the size from the doorknob in the background, it is safe to say Resident Evil has it's first child zombie appearance. 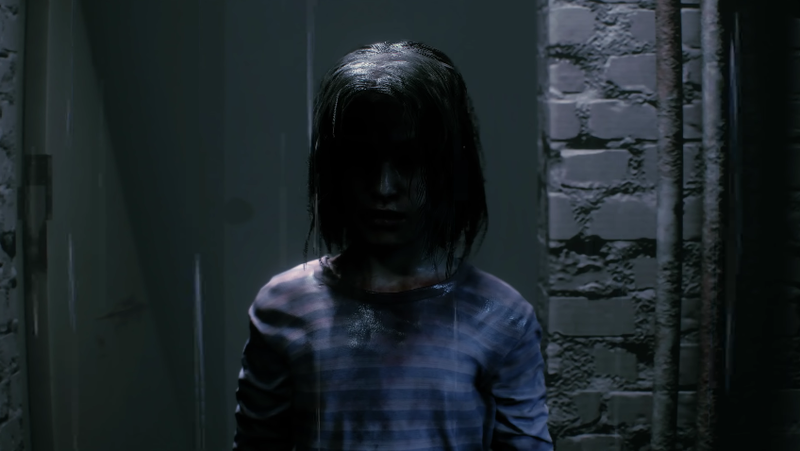 I'm actually quite interested to see how this scene plays out in the game, if child zombies will be an enemy, or just this one girl in a cutscene.